Missoula loves a good civic rumble. We’re legendary for our tussles over everything from baseball to mother-in-law cottages. And that makes leadership here both invigorating – where else can you find such an engaged citizenry? – and challenging – consensus isn’t easy, and sometimes eludes us, with such strongly held opinions on all sides. Fortunately, all that civic passion has also given rise to some of our state’s most remarkable leaders – elected officials, academics, business women and men, community activists and inspired thinkers. Time and again, these dedicated Missoulians wade into roiling waters with courage and an unwavering conviction that even the most intractable debate will ultimately give way to better decision making and a stronger community. I admire Missoula’s leaders who, by the very nature of their positions of prominence, are targets of sharply barbed criticism, but who stay the course. They believe in their convictions and work hard to engage the community in their vision. They are thoughtful, creative listeners who aren’t afraid to reconsider their own positions. They put the public good above all else. The Missoula Economic Partnership would not exist were it not for a group of strong community leaders declaring that there had to be a better way to do economic development. Even when the early going was tougher than expected, these leaders held fast to their vision and kept their focus on the long-term good. Just look at the new Missoula College campus nearing completion in Hellgate Canyon. University of Montana President Royce Engstrom showed true leadership when he listened to critics of an earlier plan to site the campus on UM’s golf course. He changed course, worked with the campus and community to find a solution, and in doing so revitalized Missoula’s eastern gateway while assuring a vibrant future for our hometown two-year college. The same goes for Missoula Mayor John Engen and his quest to bring the city’s drinking water supply under public ownership. Many in the business community were not wholly convinced of the advisability of the city’s legal battle against the Carlyle Group, but the mayor has stayed the course. Great leaders embrace change and diversity. They take the heat and hold steady. They understand and accept that sometimes leadership means making unpopular decisions. They understand that leadership is about action – it’s about, well, leading the way. Over the past 25 years of my career, I’ve come to recognize five characteristics that define strong leaders, be they at the helm of a fledgling start-up or a longstanding, long-succeeding enterprise. • Communication: Good communication skills are required at every level of business, but leaders must be outstanding communicators. • Motivating teams: Inspiring others is the mark of an effective leader. Motivation is best achieved by example and guidance, not by issuing edicts. • Team building: Assembling strong teams that work well together is another trait of great leaders. The opposite is also true: if a team is weak and dysfunctional, it is generally a failure of leadership. • Risk taking: You can learn how to assess risk and run scenarios that will help you make better decisions. Great leaders take the right risks at the right time. • Vision and goal setting: A team depends on its leader to show where they are going, why they are going, and how they’re going to get there. People are more motivated when a leader articulates his or her vision for a project or for the organization, along with the steps – or goals – needed to achieve it. All leaders must make difficult decisions. It goes with the job. They understand that in certain situations, tough and timely decisions must be made in the best interests of the entire organization, decisions that require a firmness, authority, and finality that will not please everyone. Extraordinary leaders don’t hesitate in such situations. They also know when not to act unilaterally, but instead foster collaborative decision making. It’s not easy, leading such a feisty community; it requires all our collective and individual skills. The passion and engagement that make Missoula great are also among our greatest challenges. We all have a role in shaping the future of our community – in corralling our collective passion into a strong and vibrant plan of action. How are you going to be a leader who inspires and motivates community growth, now and 20 years from now? 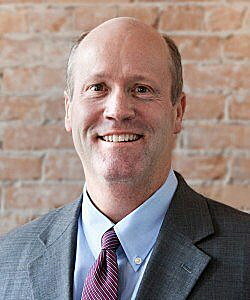 James Grunke is president and chief operating officer of the Missoula Economic Partnership. He writes a monthly column for the local media.